After Xiaomi, Motorola is also now gearing up to launch as many cool gadgets to its products list. Sphere+ Bluetooth Speaker adds new in the recent launches by Motorola. 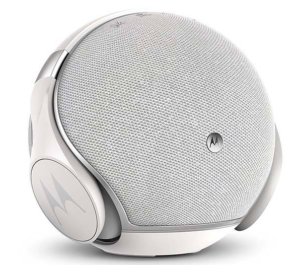 Essentially, Motorola Sphere+ is a 2-in-1 Bluetooth Speaker system along with over-ear Bluetooth headphones. The Lenovo owned company has won the Innovation Award in CES 2018 for this Motorola 2-in-1 Bluetooth Speaker. The new Motorola Sphere+ comes with an all-new design with a 2x8W speaker and wireless over-ear Bluetooth headphones. The new Motorola headphones and speakers feature passive noise isolation and 40mm drivers each. Also, The Sphere plus speaker is equipped with a built-in speakerphone which helps users to take calls. Furthermore, the headphones have the touch control option on the ear pads. The speakers together offer playtime up to 20 hours by switching from one device to other. Users charge back the headphones by just placing it on the speaker base. 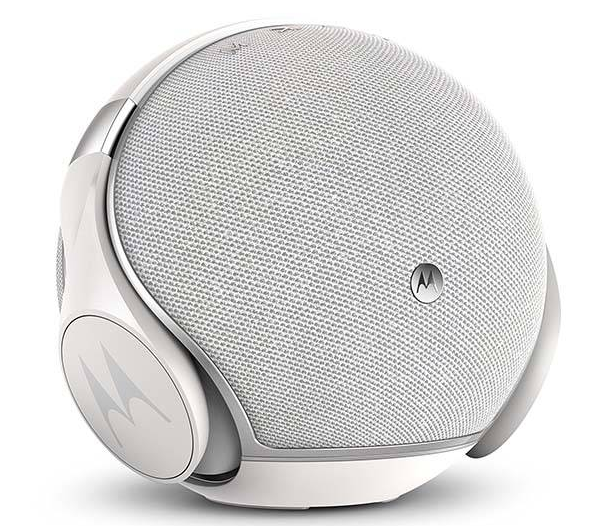 The Motorola Sphere+ 2-in-1 Bluetooth speaker Price has been listed for Rs. 12,999 in India and is made available in Black and White colour variants. Discussing specs, Sphere plus speaker features an integrated multipoint technology which allows users to connect two smartphones at once. The device works across 60 feet range and provides built-in gestures like volume control, play, call answer/end. On the other hand, connectivity options include Bluetooth 4.1 and 3.5mm AUX audio jack. In addition, the Sphere+ is compatible with Apple’s Siri and Google Now which makes it no less than any in the range. Motorola quotes that the product has the overcharge, over-voltage, and overheating protection circuit which ensures safety against odds. In the same CES 2018, JBL has also launched new headphones and water-resistant Bluetooth speakers with Google Assistant support. But there is no clue about its launch in India. Yet, this Sphere plus 2-in1 speakers and headphones will stand as a likeable product for savvy customers. Through the price is on a bit higher end, the device can grab the attention of the present day smartphone user’s who are looking for premium audio products and accessories.